Nice sharing. About All-in-One Solution for iPhone X, iPhone 8/8 Plus on data manager, the easy way is using pro iOS Assistant tool. With its help, we can easily transfer, backup & manage data on iPhone from computer via usb cable. About All-in-One Solution for the iPhone models, I would recommend TunesKit iPhone Data Recovery for the reason that it is capable of restoring up to 20 types of lost data on the iPhone including photos, videos, contacts, voice memos, calendars, WhatsApp messages, etc. 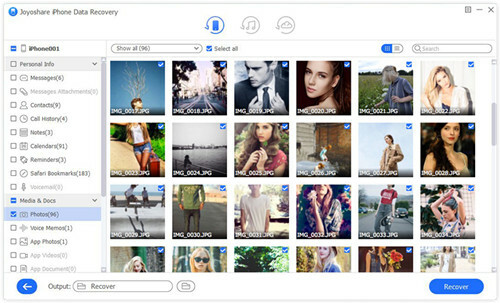 This program enables you to recover lost data from iPhone directly, from iTunes and iCloud backup files. Great! I think Joyoshare Windows iPhone Data Recovery also worth a shot. It is well developed to retrieve data from iPhone, iPad and iPod touch. If you have backups, you can have more chances to get data back from iTunes or iCloud backups with only few clicks.